Okay granted there may be one or two on this list that you do know – though maybe not by name – but hopefully the vast majority of readers will be unfamiliar with most of the badass men and women featured on this list. History is full of badasses, and it is very hard to rank them, so here we are ranking by reverse chronological order. Enjoy the list and be sure to mention other badasses in the comments. This list was inspired by the book “Badass” by Ben Thompson which contains a chapter on each of the characters below as well as dozens more. You can buy it here. 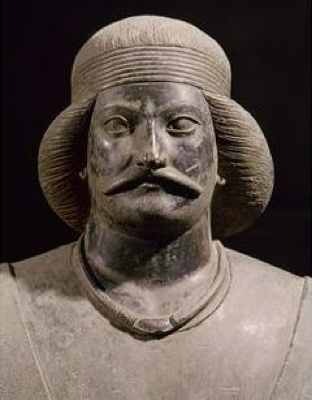 Chandragupta Maurya, born in Bihar, Eastern India, was an orphaned commoner who changed the face of India and forever altered its history, by clawing his way from the slums to forging one of the most expansive Empires in India’s history. Not only did he command nine thousand war elephants, fifty million people and an army of thirty-six thousand – he also had one of the most badass (and awesome) bodyguard units ever. His personal bodyguard unit was made of up more than five hundred Greek and Indian warrior women. 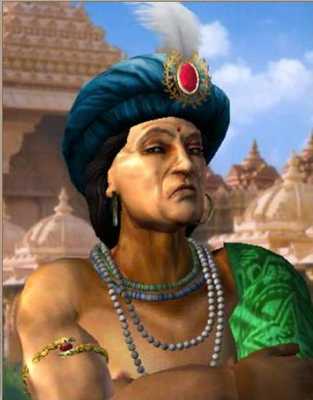 In order to destroy the Nanda empire, Maurya simply grabbed a bronze sword and singlehandedly stormed the palace. He was captured and jailed, but escaped – further cementing his place in history as a badass. Ultimately, he went on to destroy the ruling dynasty and put into place the long lasting Maurya dynasty. Charles Martel – otherwise known as Charles the Hammer – was so badass that he not only stopped the Islamic invasion of Western Europe, he is considered to be a founding father of the Middle Ages and all of the delights that came from it (feudalism, knights and chivalry), and laid the groundwork for the Carolingian empire (he was Charlemagne’s Grandfather). He came to be in a position to lead the army against the invading Muslims, because he was the Mayor of the Palace under the Frankish kings. At that time the Kings were pretty useless and left all of the hard work up to the Mayor. He lost only one battle in his lifetime (the Battle of Cologne) but, most importantly, he won the Battle of Tours (October 10, 732) in which two French towns fought against the armies of the Umayyad Caliphat. The defeat of the Muslim army was very significant and, if the battle had gone the other way, we would probably all be speaking Arabic right now. The French army fought the battle entirely on foot which led many to declare that God had given the French the victory. Oh – and to top it all off he was humble too! Martel refused to accept an honorary title from the Pope for saving Europe. 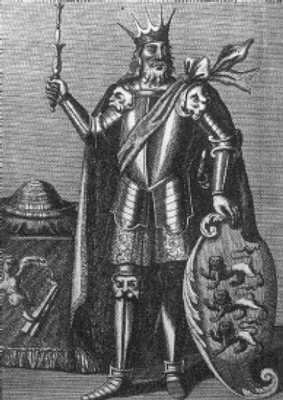 Harald was the youngest of Saint King Olaf II of Norway’s three half-brothers, born to Åsta Gudbrandsdatter. After King Cnut killed his brother Saint Olaf (while Harald was a mere 15 years old), he went off to Constantinople and made himself rich. He then took the opportunity to join the most feared mercenary army, (the Byzantine Vanguard) and began working (or rather cleaving) his way through various armies at the paid request of various European kings. 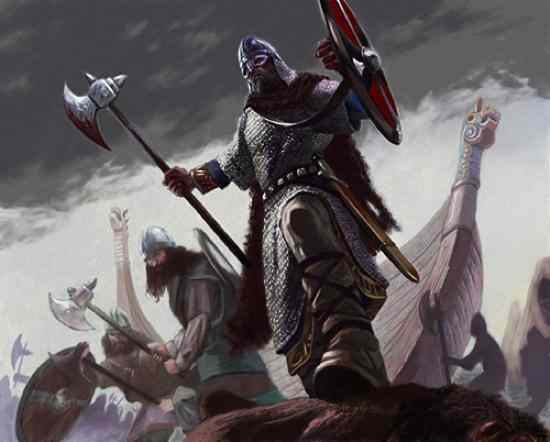 Over his lifetime Harald went on to battle anywhere he could – Europe, the Middle East and Jerusalem. He even managed to take a bit of time out to marry Princess Elisabeth of Russia. Eventually, Harald became the King of Norway (after the young illegitimate King Magnus mysteriously died). Not being content to rule just one country, he spent years trying to conquer Denmark (much to everyone’s annoyance – in Denmark and in Norway). He finally decided to put his energies elsewhere, which was to be his downfall, but the main reason that history remembers him – he decided to conquer England. 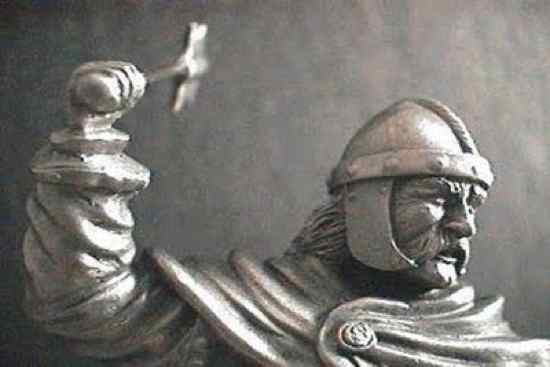 Alas, his attempts to take England failed and his army was smashed by that of King Harold Godwinson. 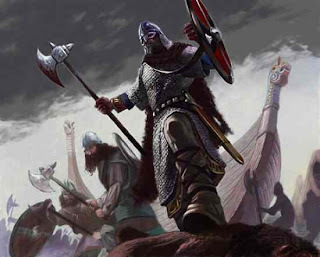 Harald was the last great Viking king of Norway, and his invasion of England, and death at the Battle of Stamford Bridge in 1066, marked the end of the Viking age and beginning of the High Middle Ages. Two words sum up this amazing woman: concubine, warrior. 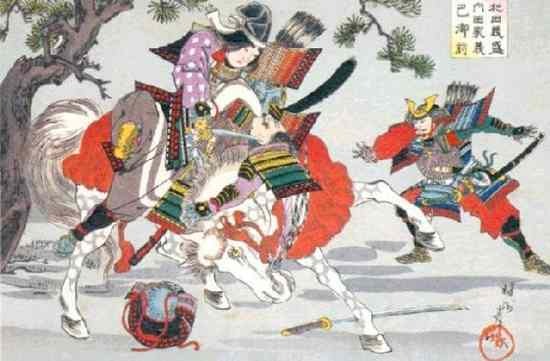 Tomoe Gozen was an extremely rare thing: a female samurai warrior. Here is what a historical account of her says: “Tomoe was especially beautiful, with white skin, long hair, and charming features. She was also a remarkably strong archer, and as a swordswoman she was a warrior worth a thousand, ready to confront a demon or a god, mounted or on foot. She handled unbroken horses with superb skill; she rode unscathed down perilous descents. Whenever a battle was imminent, Yoshinaka sent her out as his first captain, equipped with strong armor, an oversized sword and a mighty bow; and she performed more deeds of valor than any of his other warriors.” High praise indeed for a male dominated nation, in the 13th century. This warrior woman was also a concubine of Minamoto no Yoshinaka, a revered Japanese general. 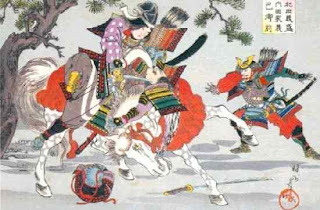 When he was defeated on the battle field, the sexist pig told Tomoe to leave as he would be ashamed to die with a woman. She went on to behead many, slaughter many, and retire to a quiet life as a nun. Yes – a nun. 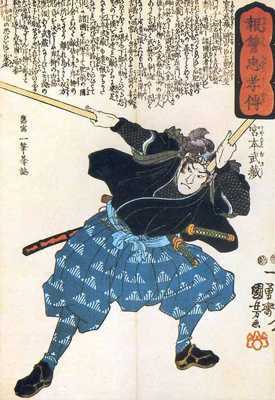 Miyamoto Musashi was a kensei – a sword saint. In Japan, this word was used to refer to someone so badass with their sword that they were believed to posses preternatural abilities. Miyamoto Musashi was about the best example of this, ever. In his lifetime he fought over 60 duels, and won them all. He was trained in swordsmanship at the Yoshioka ryu school – a school he later singlehandedly destroyed. His first duel was at the age of thirteen and after that he basically wandered the country fighting as many people as possible, regardless of the weapon they wielded. At the age of thirty he had his most famous duel, against Sasaki Kojirō (The Demon of the Western Provinces). Sasaki Kojirō, fighting with a two handed sword, was defeated very quickly by Musashi, who fought with a little wooden staff, he carved in the boat on his way to the fight. Sick of fighting (and suffering from ill health) he retired to a cave to live as a hermit and write books. He died kneeling, with one hand on his sword and the other on his walking stick. Agustina de Aragón was a Spanish heroine who defended Spain during the Spanish War of Independence, first as a civilian and later as a professional officer in the Spanish Army. So badass were her actions that she became known as “the Spanish Joan of Arc”. When war broke out in 1808, in her small Spanish town, she took a basket of apples to feed the gunners. When she arrived she saw the Spanish soldiers take heavy losses to the French army, causing the Spaniards to flee. 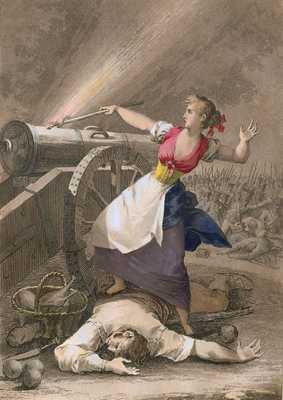 Instead of running away, Agustina ran to the cannons and began to defend the town on her own. The sight of her doing this gave the Spaniards the courage to return and help. After a bloody struggle, the French gave up the assault on Zaragosa and abandoned their siege for a few short weeks, before returning to fight their way into the city, house-by-house which ultimately won them the town. After being captured by the French, she was imprisoned but she subsequently mounted a daring escape and became a low-level rebel leader for the guerrilleros, helping to organize raids and attacks that harassed the French. On June 21, 1813, she acted as a front line battery commander at the Battle of Vitoria, under the command of Major Cairncross. This battle was to see the French Army that had occupied Spain effectively smashed beyond repair and driven out. She eventually married a doctor and lived the rest of her life in peace, proudly wearing her battle medals. 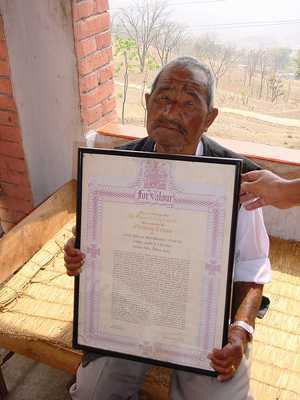 Now here is a man everyone should know about – he truly typifies badassness and bravery. Nicknamed “Fighting Jack Churchill” and “Mad Jack”, he was an English soldier who fought throughout World War II armed with just a longbow, arrows and a claymore (sword). He once said “any officer who goes into action without his sword is improperly dressed.” Remember that during this war he was basically using a sword and a bow and arrow against men with tanks and machine guns. He is the only soldier to have killed an enemy with an arrow in the war. And in true quirky British style, not only did he fight the good fight – he would rouse the troops with a merry tune on his bagpipes, as he was an expert piper and always took them with him to battle. 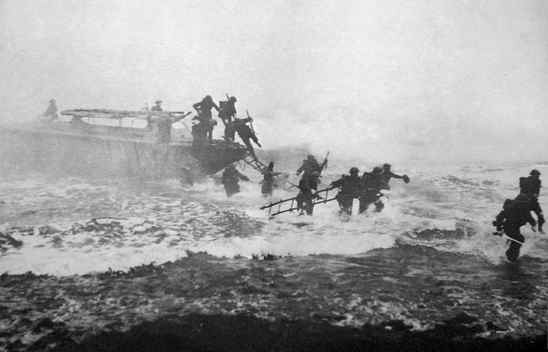 In his most awesome moment, Churchill led a team of commandos into enemy lines playing “Will Ye No Come Back Again?” on his bagpipes. He was the only member of the group that made it to the objective alive – everyone else was killed around him. Perhaps the Germans liked his playing too much to kill him. When the war ended and the world celebrated, Churchill was not happy. He is recorded as saying: “If it wasn’t for those damn Yanks, we could have kept the war going another 10 years!” In retirement he took up surfing in Australia before returning to England to live. In the photograph above you can see Churchill on the right with sword in hand. Frankly, while everyone on this list deserves a place, the last two do so especially. work and exposure! Keep up the terrific works guys I've incorporated you guys to my blogroll.